The Toolangi C. J. Dennis Poetry Competition is once again open for entries. As always, there are three adult categories, as well as primary and secondary categories. The 'Adult Open' and 'Adults Writing for Children' categories are unchanged from previous years. 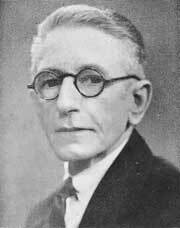 This year, 2013, marks the centenary of the publication of C. J. Dennis' first book, 'Backblock Ballads'. It is also an election year. With both these points in mind, the themed category for this year is a poem inspired by 'The Bridge Across the Crick', from 'Backblock Ballads'. Entries close on 7th September. 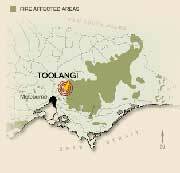 Winners will be announced at a ceremony to be held at 'The Singing Gardens' in Toolangi at 2pm on Saturday, 26th October. 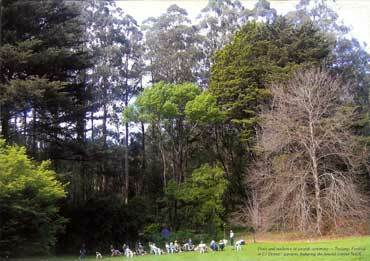 The Toolangi C. J. Dennis Poetry Festival will take place over the weekend of Saturday 26th and Sunday 27th October. There will be a concert on the Saturday evening, featuring members of the C. J. Dennis Society and their friends, with a special guest appearance by the Society's Patron, legendary Northern Territory story teller and singer, Ted Egan. 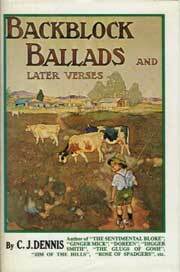 This year, 2013, marks the centenary of the publication of C. J. Dennis' first book, 'Backblock Ballads'.